The enterprises/organization require applications for instant use those which integrate to databases easily and is easily upgradeable/replaceable. The applications which are more based on the User Interface are best developed using VB Technology. Visual BASIC was developed by Microsoft and it was used to develop software products- MsOffice, AutoCAD, etc. These products are highly dynamic, rely more on the user’s wishes and depend more on inputs by the user hence “event controlled”. 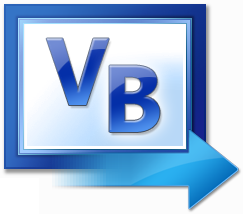 Visual Basic is widely used as an environment for the development of applications and softwares. The language used in this is BASIC- Beginners All Purpose Symbolic Instruction Code. Visual Basic was the earliest language to provide graphics based user interfaces and still remains the widely used language to create event controlled applications and graphics based system software. It is an event-driven language because each object in the code reacts to different events differently. While using AutoCAD different users- architect, engineers, etc. can create models of their requirement tools, buildings, shapes etc. Development of Applications- VB technology can be used to develop the applications for windows platform and serves the purpose of User Interface Application development of large sectors where the need is a graphics based interface and kiosk for easy user system communication and inputs. Complete system support- from normal graphics to complex graphics system software design is available in VB Technology. The systems like banking, retail, and other software applications can be created using the visual basic technology. The VB technology can be used to create the front end of the required application and easily integrated with the databases. The railways kiosk on the platform is a fine example. Easy to Use and develop- Using the Drag and Drop feature the developer can easily generate the code for application development. This feature provides to implement an idea and test its strength quickly. Thus VB technology can be used as an Rapid Development Model or Watefall Model. The technology will not get robust for a long period of time because its easy to maintain applications and system GUI built with VB. The routines in the Runtime Library of VB makes it easy to develop applications which have dynamic executing environment hence event controlled applications can be developed. The Visual Basic is an answer to your graphics based application problem, this can be easily integrated with other database, sequential and network technologies like.